The National Association of Geoscience Teachers gives each section OEST awardee a plaque and a two-year membership in the Association, which includes a subscription to the Journal of Geoscience Education. Other NAGT awards vary from section to section and among states within sections. In addition, the Geological Society of America provides a monetary award and a 3-year Teachers Associate Membership (including membership in the Geoscience Education Division), and the National Earth Science Teachers Association provides a one-year membership, which includes a subscription to the Earth Scientist. The following organizations provide tangible support of various kinds such as teaching materials or gifts: American Geological Institute, American Geophysical Union, American Institute of Professional Geologists, and the U.S. Geological Survey. 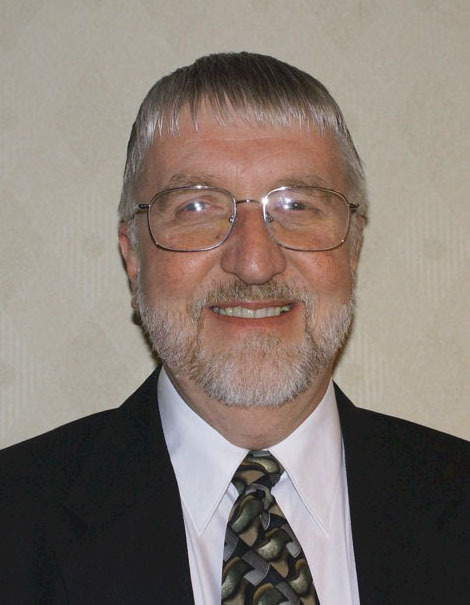 Dennis ("Denny") Dougherty graduated from Western Michigan University in 1970 with a BS, majoring in Earth Science, Anthropology and Sociology. In 1976, he earned the MA in Secondary Education from Northern Michigan University. Denny's career in science education began in 1973 and spans nearly 30 years of teaching seventh and eighth grade science with the Sault Area Public Schools. He retired from teaching in 2007, but continues to be actively involved in informal science education with Lake Superior State University's Kemp Geology Museum, teacher workshops, and geology field trips. Denny's passion for science education and commitment to active, engaged learning are exemplary. His legacy lives on, as geology teaching kits he developed continue to be available in his district and through catalogs, providing teachers with activities that encourage students to become involved scientists as they perform experiments and make observations. Denny led development of the Natural Science Park in Sault Ste. Marie beginning with a small grant of $3,000 in 2005. His "contagious energy" garnered more than $40,000 in donations, and the park is compared by one of his nominators to a 2000-mile Great Lakes geology field trip. The park includes six 10-ton "rock cycle" boulders, a 16-ton block of fossiliferous Devonian limestone, and large ore specimens from the region's mines. Interpretive signs and materials incorporate Michigan's science teaching benchmarks in Earth, life and physical sciences, making the park an outdoor learning laboratory for teachers, students, and the community. Throughout his career, Dennis Dougherty has fostered a love of science in countless students, while building their critical thinking skills in a supportive environment. He has shared his expertise with innumerable colleagues, and led transformative informal science education efforts to reach the wider community. 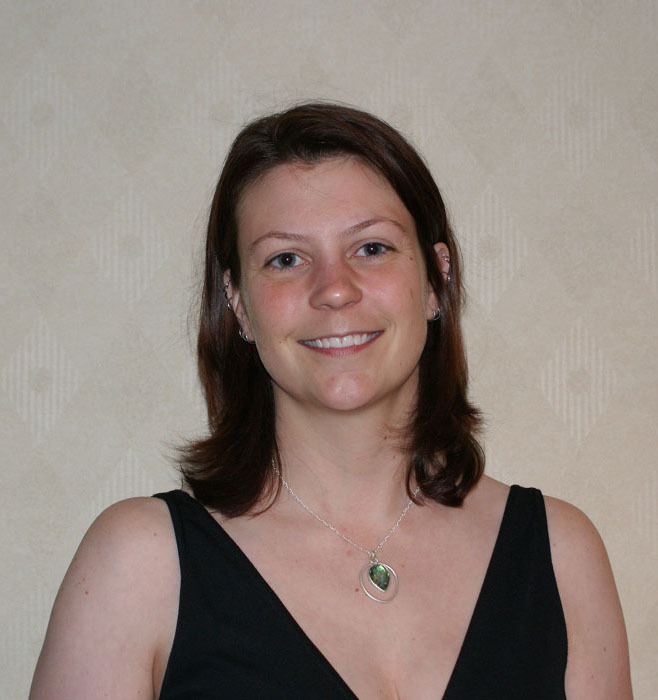 Shelley Anne Witham holds a BS in Geology and a MS in Science Education from Purdue University, and is pursuing a PhD in Educational Psychology at Rutgers University. She has eight years of teaching experience and currently teaches 9th and 11th grades at High Tech High School in North Bergen, NJ. She is an exemplary science educator on the district, state, and national level. Prior awards include being named Distinguished Science Alumnus by Purdue University, Disney Teacher Awards program Nominee, 2005-06 Hudson Teacher of the Year, 2005 Honorable Mention in the USA today all-USA Teacher Team program, District Teacher of the Year Award from High Tech High School, and the Teacher of the Year Award from Kean University and the New Jersey Center for Science and Technology Education in 2004. She has published in The Science Teacher, The Hoosier Science Teacher, American Biology Teacher, and the Journal of College Science Teaching. She is very involved with Project WET Watershed Stewardship, the New Jersey Science League, the New Jersey State Envirothon Competition (three time state champions and national champions), and the Hudson County Tree Planting Project. She has received several grants totaling over $380,000, including two Project WET grants and three Indiana Commission for Higher Education-Improving Teacher Quality grants. 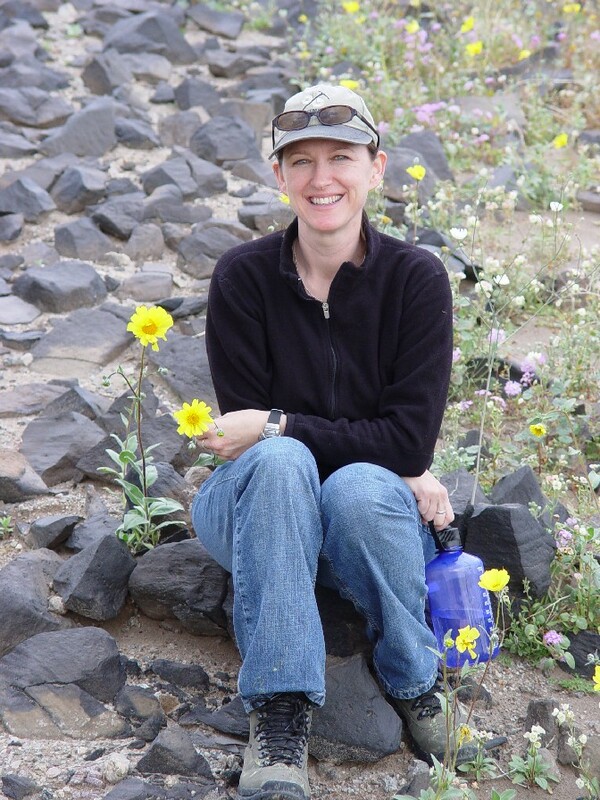 She regularly presents at professional meetings including Geological Society of America (GSA), National Science Teachers Association (NSTA), and National Association of Biology Teachers (NABT). 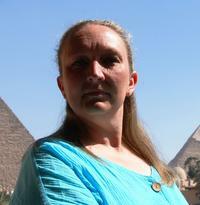 She has volunteered for numerous years on archeological digs in Texas, New Hampshire, and Indiana. 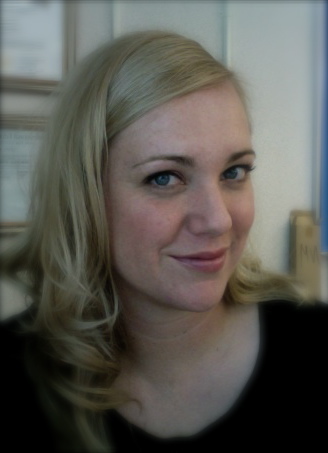 One of her nominators writes "she believes that one of her greatest rewards in science teaching is seeing her students love learning and feel that they can learn no matter what their preconceived notion of their own academic ability...She also believes that not only does one teach content, but one also reaches responsibility and accountability to students." Laura Hollister teaches the earth sciences at Pitman High School in Turlock, California. 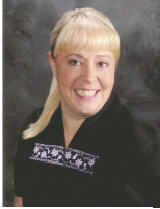 She attended Modesto Junior College and California State University, Stanislaus, where she earned a BS in Geology. She worked several years in the geological consulting business before deciding to pursue a teaching career. Laura is a very engaging teacher and strives to bring her philosophies to fruition by designing lessons with applicable, real-world experiences. 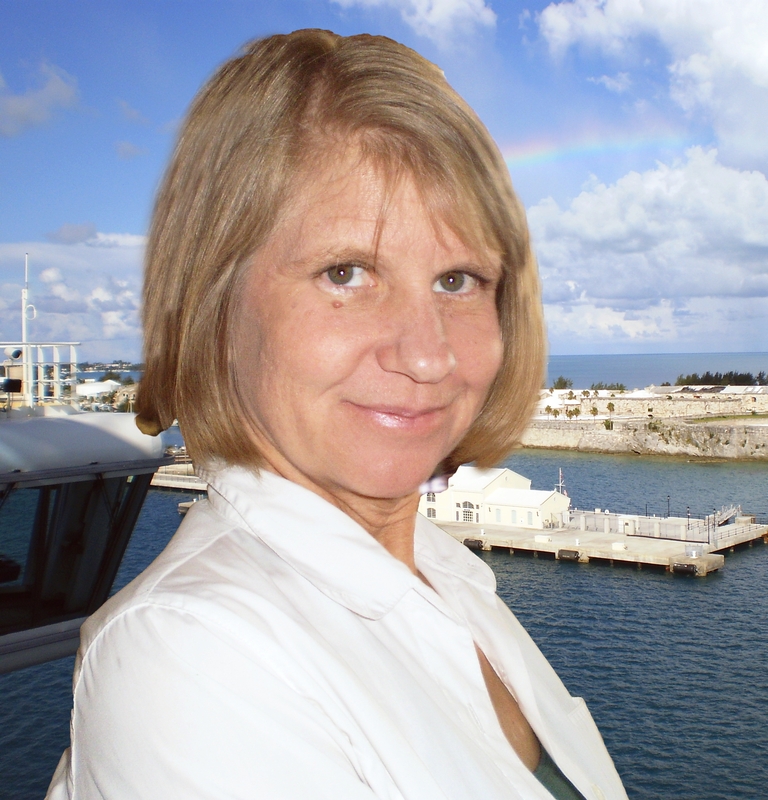 She has created many multimedia presentations that include personal trip photos that demonstrate concepts in a vivid, virtual-type setting. She assures that the information presented within them is understood by all students with the creation of scaffolded notes. The notes allow students to fill-in important information to the pre-made lecture outline so that the kids can spend more time concentrating on the visuals, while at the same time teaching the students how to outline useful notes when they get into college. Laura also incorporates labs that encourage a hands-on approach to exploring and discovering the intricacies of the geosciences. At the completion of the day's exercises, students are required to write a song or poem, draw a picture, or create some other form of art to help them process and thoroughly remember what they learned in class. Laura participates in Wildlink, which is run through the Yosemite Institute, whose goal is to provide access to and education about the greater Yosemite National Park Region. Students who are chosen for the program spend a week in Yosemite learning about wilderness ethics and the ecology and geology of the park. Laura is a co-advisor for the Pitman High Science Bowl and Science Olympiad teams. She also volunteers in the geology field studies program at the local community college, and has led trips for conferences of the Far West Section of NAGT. 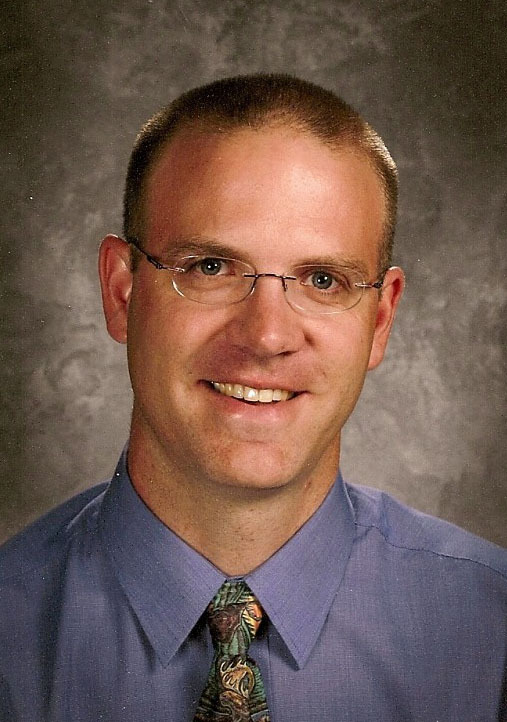 This year the Midcontinent Section of NAGT as pleased to select Richard Snyder of Kickapoo High School in Springfield, Missouri is the Midcontinent Section winner of the Outstanding Earth Science Teacher. Rick has degrees from the University of Wyoming (B.A. Secondary Education Earth and Space Science) and Missouri State University (M.S. Secondary Education Earth Science) and has nine years of teaching experience. He currently teaches Earth/Space Science Honors, Earth/Space Science, and Science Research and Design. Rick maintains websites for his classes and publishes a daily blog – he also enthusiastically leads a number of field trips for his classes. 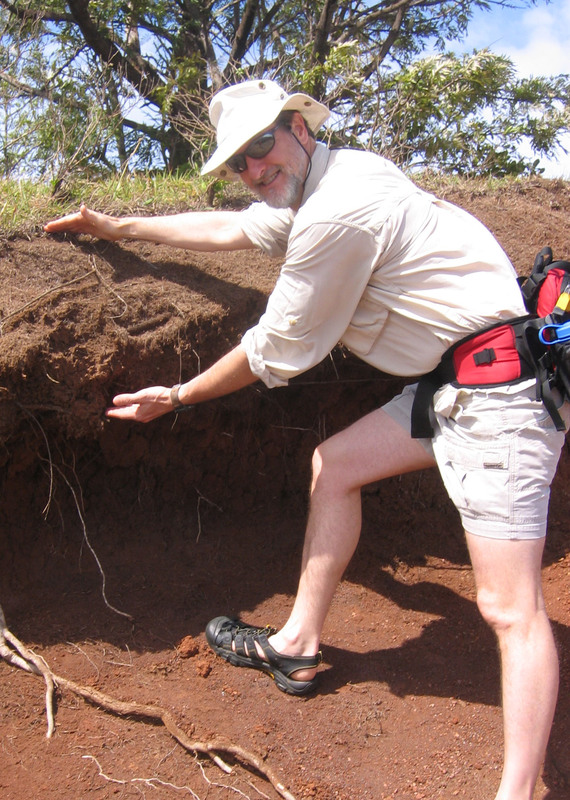 He has had exceptional success in getting his students to relate to the geosciences, involving high school students in earth sciences research and has inspired more than a few to go on to become successful earth science majors and graduate students. Writes one of his supporters, "Mr. Snyder's ability to motivate students and make this topic exciting is absolutely amazing. Even more important for me as a parent is that his standards are high and he holds his students to those high standards." Another says, "Rick is a master teacher. He provides thoughtful guidance to students by answering their questions with questions. He manages his classes well and delivers content-rich curriculum with cheerful humor... To put it bluntly, Rick has been a de factorecruiter for the geology program in our department, not from his persuasiveness but from the enthusiasm he delivers in teaching." Elisa D'Amore teaches earth science at Stoneham High School, Stoneham, Massachusetts, a place whose very name is linked to the underlying geology, namely Paleozoic Era granite. Elisa's commitment to earth science education is truly outstanding. She challenges her students to think critically and analytically, and to make connections. Elisa comments that "It is important that students learn the material and/or concept instead of memorizing it. By learning this way they will succeed in my class and apply their knowledge to other classes. It becomes a part of their education; a part of who they are." Elisa participates in many professional development activities including local geology society meetings, being a reviewer of a new earth science book, and writing curricula. Her nominator, NAGT-NE Past President Tom Vaughn, states "Elisa is passionate about her teaching. She teaches important lasting lessons and many students keep in contact with her after completing their classes. She receives many letters and comments from parents on how well she has taught their children and how she had made significant impacts on their academic lives." Elisa places great emphasis on communication. She uses email to contact students and parents as well as the resource teachers for her special education students. Elisa employs a variety of teaching strategies such as generating PowerPoint presentations, providing personal attention after school, and having the students do research as well as "hands-on" projects. As for her strengths, Elisa says "What makes me a good educator is my passion for teaching, the love for my subject, and the learning process. Without passion, a person cannot perform at their best. To this day I still get excited while teaching earth science." 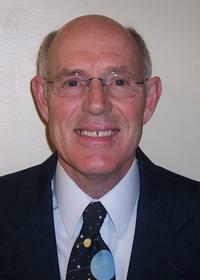 Roger Groom teaches at Mt. Tabor Middle School, in Portland, Oregon. 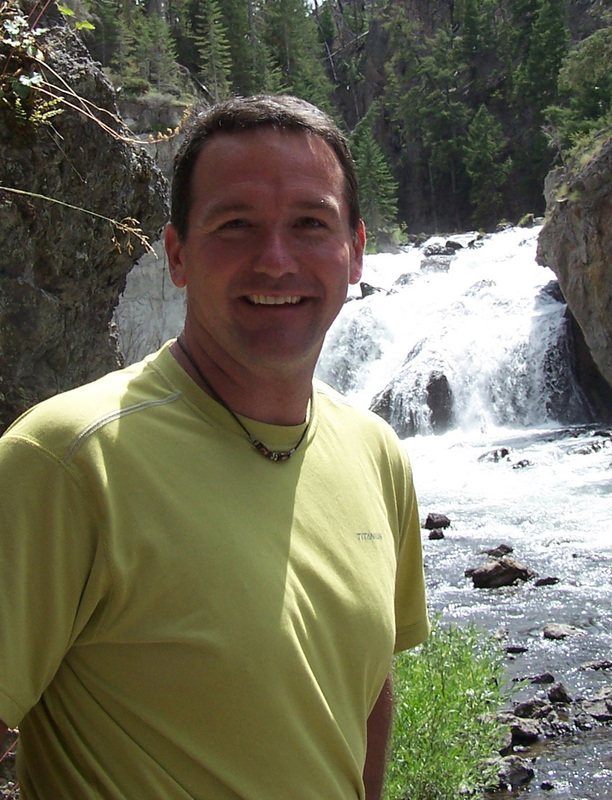 Roger has over 16 years teaching experience in the Earth Sciences and has developed in-depth curriculum that has his students investigate plate tectonics in Cascadia using GPS, among many other projects. He has served as a master teacher with UNAVCO and a master teacher with the NSF-funded Teachers on the Leading Edge K-12 professional development program. 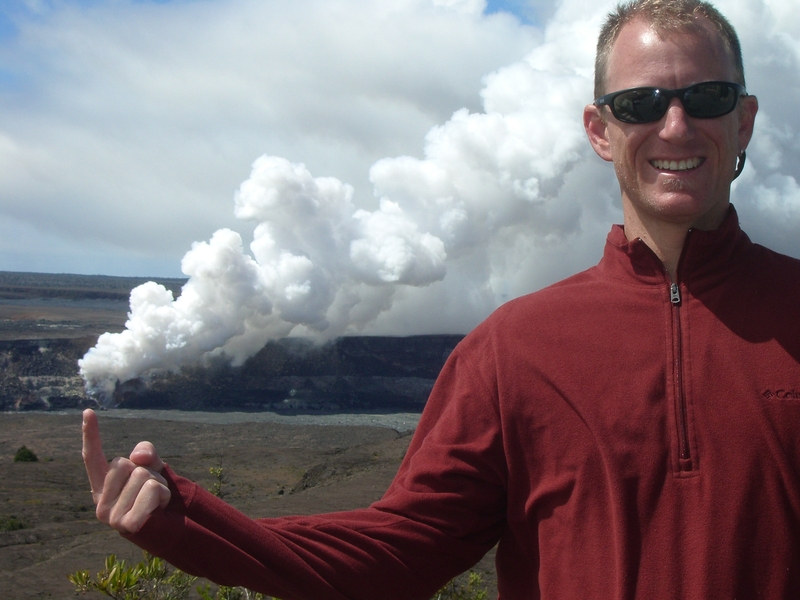 Cliff Hudson has taught high school earth science in the Martin County Public Schools for four years. He graduated with a BA degree in Biology from Barton College and is pursuing a Master's degree in Geoscience Education while also working toward his N.C. Environmental Education certification. Cliff employs an educational philosophy which revolves around hands-on activities, real data and outside experiences to help his students understand the world around them. He has formed many partnerships and been awarded several grants to supplement his educational efforts. A recent project, called TechMath, integrated his previous job experience in the Geotechnical Division of the N.C. DOT. The project, funded by the National Science Foundation and East Carolina University, in partnership with Wake Stone Corporation, used science, math and technology to solve real life problems in a teaching module which utilizes inquiry-based, science activities to show the relationship of geological science to the business of a local rock quarry. Students also visited the quarry. Another activity which exemplifies Cliff's inventiveness was the use of rock thin sections and a Candy Bar-Rock-matching game to teach rock textures, which is a challenging fundamental facet of geology. He has also developed and teaches an Astronomy/Geology class and is working to develop an AP Geology class. Currently, Cliff and his students are working to build an outdoor classroom in the deciduous hardwood forest behind their school. They have message boards along a trail describing the ecosystem and a rock trail describing common rocks found both locally and among the various geographic regions of North Carolina. Ultimately, their goal is to have a covered shelter with benches and tables. This space will not only be used for class but also for the school science club and environmental science team which Cliff sponsors. 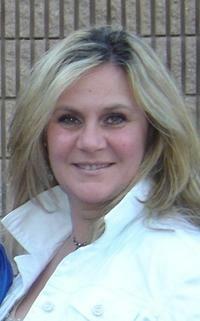 Debbie Morgan teaches at North Sevier Middle School in Salina, UT. She is a creative teacher who engages students in the classroom through investigations in the geosciences. From the interdisciplinary approaches (incorporating art, reading, and math into her curriculum), collaborating with her colleagues, and inquiry driven investigations using the environment near her school, it is clear that Debbie is dedicated to providing the best possible learning experience for her students. Through these learning approaches, Debbie is working to instill a lifetime love of learning for her students. She encourages and mentors student participation in a variety of contests including the NSTA/Toshiba Exploravision Awards and National Energy Foundation's Igniting Creative Energy contest. To bring the outside community into her classroom, she brings in guest speakers to discuss their work in parks and science museums. Debbie's dedication to expanding her own knowledge in order to enhance what she brings to the classroom is clear through how she spends her time outside the classroom. While she was a GeoCorps America Intern, she developed web pages that provide geologic data that other teachers can use for lesson plans or for local fieldtrips within the Southwest region of the US (http://www.fs.fed.us/r4/resources/geology/index.shtml). In the summers, Debbie works at jobs that can add a greater depth and richness to her classroom including NOAA's teacher-at-sea program and various work in neighboring parks (e.g., Timpanogos Caves National Monument). Perhaps the best way to summarize the impact she has on her students is from former student Korri Johnson, "one experience I really enjoyed was when she taught us about all the different types of rocks. She sang a song to us using her ukulele and it had all the types of rocks in them and it really helped me remember what the rocks were, their characteristics and things like that." Victor Trautman is a teacher at Petersburg High School in the town of Petersburg, AK. Victor has over 35 years teaching experience. 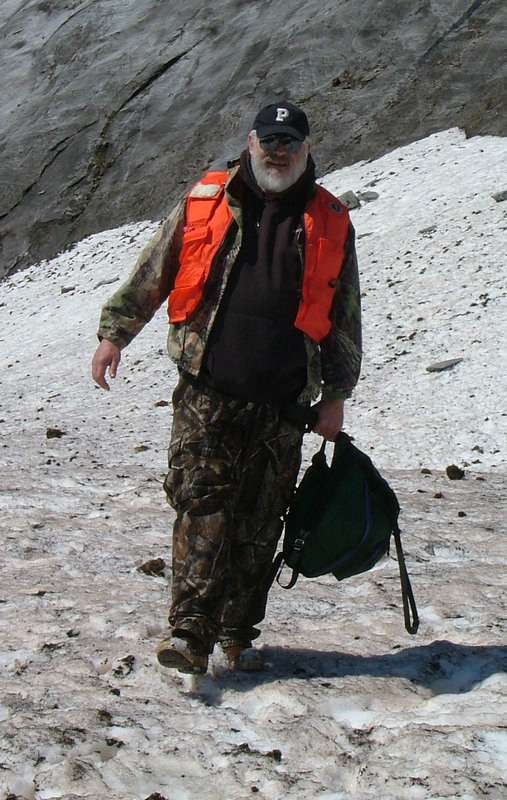 Victor actively involves his students in a variety of hands-on projects including an annual survey of the LeConte Glacier's terminus, and has been involved with Princeton Earth Physics Project (PEPP)-Seismometers in the Schools, and THEMIS (NASA Space Weather project). Wendy Barnett teaches at Sonoran Science Academy in Tucson, AZ. She employs many innovative teaching approaches to engage her students, such as setting up small expert groups who teach each other, modeling Earth processes, and encouraging inquiry investigations. She takes advantage of local resources that are available with limited budgets and makes the most of them. Her classroom reflects the diverse population present within southern Arizona and she employs practices that assure success for English Language learners and high performing students alike. Last year, her students met with tremendous success at local and national science competitions. In her first year of taking students to the statewide Science Olympiad, her students won 1st, 2nd, and 3rd place! Another student won bronze at the International Sustainable World: Environment, Energy, and Engineering Science Olympiad in Houston, TX. Wendy's dedication to teaching has made a positive and memorable experience for all of her students. 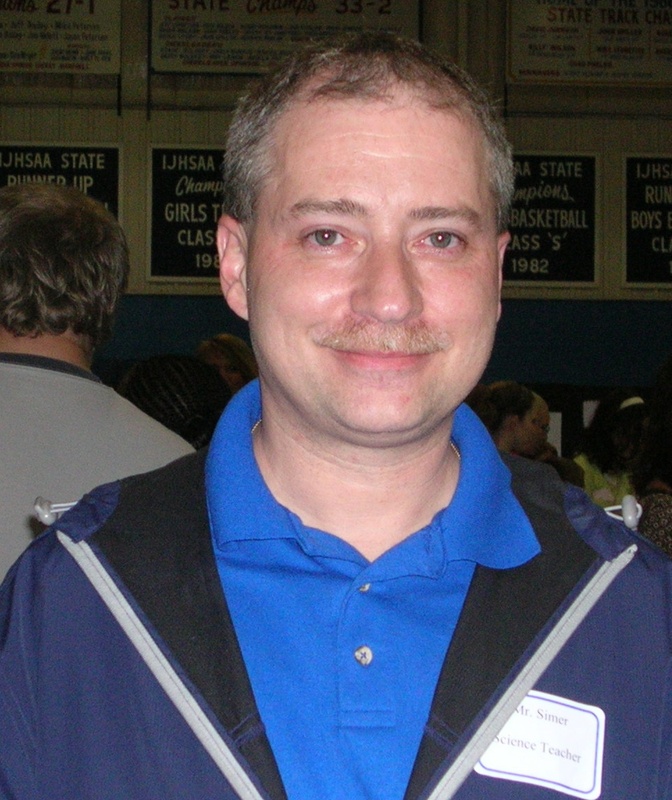 Charles Simer teaches science at Woodlawn Grade School (K-8) in Woodlawn, Illinois. He is known for "getting students hooked on science." In teaching science, Charles incorporates reading, writing, art and other subjects. Cooperating with the Illinois Department of Natural Resources and the U.S.G.S., he has built a teaching collection of local, state and regional rocks and other science materials. The science classroom, even though it has no running water or lab stations, has become a favorite destination for students, who compare it to a Science Center and request visits outside of class times. Charles structures curriculum and assessment so that any student from the school's diverse student body can learn and succeed, often exceeding expectations. Veteran teachers have re-evaluated their own teaching based on observations of Charles' classroom. In his classes, students are motivated not only to ask questions in class, but learn to ask questions of their community and of society. Nina Van Kleeck, with 13 years experience, teaches ninth grade earth science at Aberdeen High School. She has a BS in education from Morgan State University and a Masters in earth space science education. She was nominated in her second year of teaching for Baltimore City Public Schools Teacher of the Year and chosen to represent the state of Maryland as a participant at SRNGY (a program dedicated to working on materials and curricula for teaching earth and space science to students with physical needs). She recently presented on the topic of teaching space science to special needs students at the Maryland Association of Science Teachers conference. Her nominator writes "Her down to earth confidence in the evolutionary professional growth of teachers is admirable and helps to cultivate an authentic professional learning community in which teachers avoid isolation and work collaboratively and analytically to improve practice for the best interest of all students." Renee Aubry holds a BS in geology from State University of New York at Albany and a Masters in earth science education from Queens College. She has 22 years experience and teaches earth science at Port Chester High School. She participates in many extracurricular and school/ community activities and serves as a New York State Education Department Trainer. 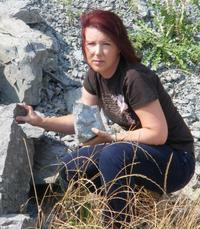 She conducts geology presentations and leads museum and fossil collecting field trips for area teachers. 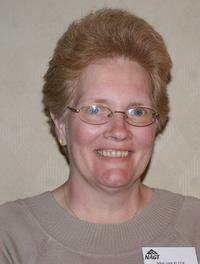 In 2008, she hosted the Eastern Section NAGT conference. One reference writes "An outstanding teacher must possess extensive knowledge of a discipline and the drive to pass that on to the eager as well as the unmotivated student. In my experience the teacher who can pique the interest of a student not formerly intrigued by a subject matter is truly outstanding. Ms. Aubry embodies this with her energy and enthusiasm in her classroom." 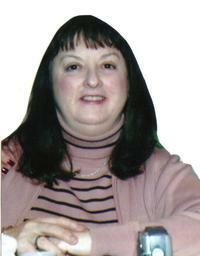 Verle Emanuelson teaches tenth grade for Tulpehocken Junior-Senior High School and has 20 years of teaching experience. He holds a BS in secondary science (earth science) from Pennsylvania State University, a Masters in classroom technology, and received GIS certification from the University of Montana. 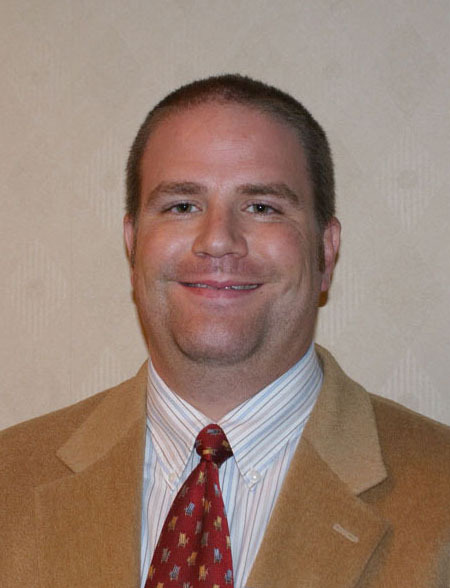 He has presented "Using GIS in the classroom" at various conferences including Pennsylvania Technology and Expo (PETE&C) and Pennsylvania State Teachers Association. 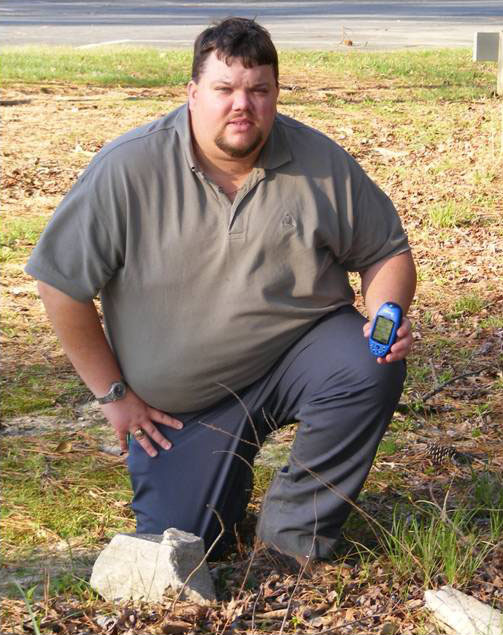 He developed and taught a "Geocaching" workshop for teachers in Allegheny County and helped to develop the first Jr. High Pennsylvania Governor's school program entitled My EARTH. 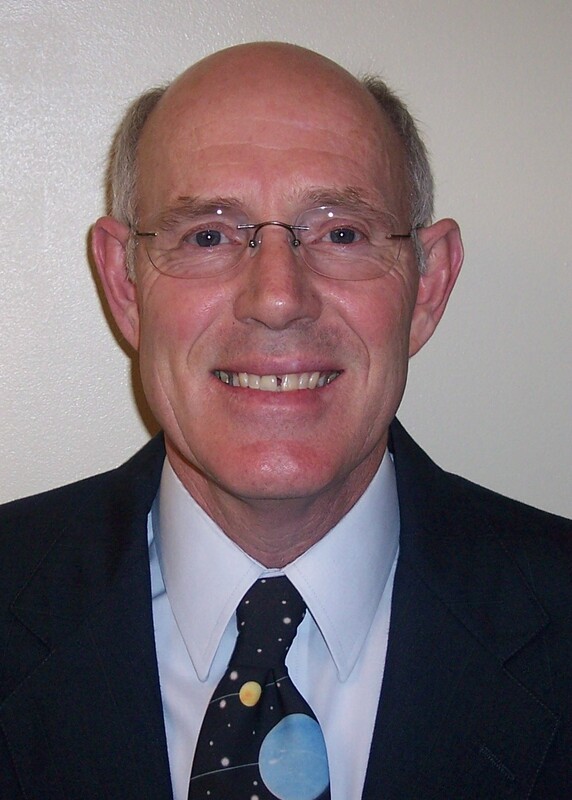 His nominator writes "Mr. Emanuelson's strength is his dedication to the education of students in the field of Earth Science. This is demonstrated by the many ways he goes beyond the call of duty...There are many occasions in my chemistry class that students will have that 'a-ha' moment and make connections between earth science and chemistry". Derenda Marshall has taught science for 24 years. Currently she is the science specialist at McDonald Elementary School in Georgetown where she works with students from kindergarten through fifth grade. For earth science lessons, Derenda concentrates on environmental topics and is a strong proponent of field experiences for all children. Even while teaching other subjects, science is always the vehicle that drives all instruction in her classroom. Derenda believes that teaching is her life's calling, beginning at the age of four when she began teaching science to her stuffed animals. She describes her love and passion as "teaching science to the budding young scientists of tomorrow." Derenda is heavily involved with the state science teachers association, serving this year as Vice-President. She has achieved National Board Certification as well as numerous teaching awards, including 'Georgetown County District Teacher of the Year' and 'South Carolina Project Learning Tree Teacher of the Year'. "Sometimes I am amazed that I'm a teacher," states Frances Hamilton, of Taft, Tennessee. "Every time I tried to do something else, however, I was led back to teaching. I really feel that I did not choose to be a teacher, instead I was destined to be one." Frances taught at Blanche School in Lincoln County for ten years, teaching a variety of grade levels and subjects. She now teaches seventh and eighth grades at the Highland Rim School. She is known throughout the district for her collaborative work to incorporate more hands-on experiences, guest speakers, and field trips into earth science classrooms. Frances participated in UT-Martin's Earth and Planetary Science Institute and later became a master teacher for that program. Her stated ultimate goal is to "do whatever it takes to reach each child. I will venture into caves, dig for fossils, or go out to sea to bring the love of science into my classroom." 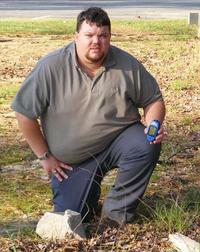 James Ruffa teaches earth science for Prince George County Public Schools at N.B. Clements Junior High School and has six years of teaching experience. He holds a BS in geology from Virginia Polytechnical Institute & State University with training in Geographical Information Systems from James Madison University, Virginia State University, and Southside Virginia Regional Technology Consortium. He has won the Hopewell High School Outstanding Performance Award (Geospatial Presentation), has written grants to fund GIS programs, and presented at the Governors Conference on Education and at the National ESRI Users Conference. Recently, he piloted a dual credit GIS program at James Madison University with Hopewell High School seniors for and was the keynote speaker for the Geospatial Summit for GIS technology in the K-12 classroom in Harrisonburg, Virginia. He believes that all students are capable life-long learners and his nominator, Anne Nall, says "he is young, energetic, and what the kids really need!" Herb Bergamini is a teacher at the Northwest School, in Seattle, WA. Herb has over 23 years teaching experience in the Earth Sciences. Herb has been a participant in the NOAA Teacher-at-Sea Program as well as taking advantage of a variety of other professional development opportunities. Pamela Casto has an MS in curriculum and instruction in science education and currently teaches 6th grade at Christ Academy. 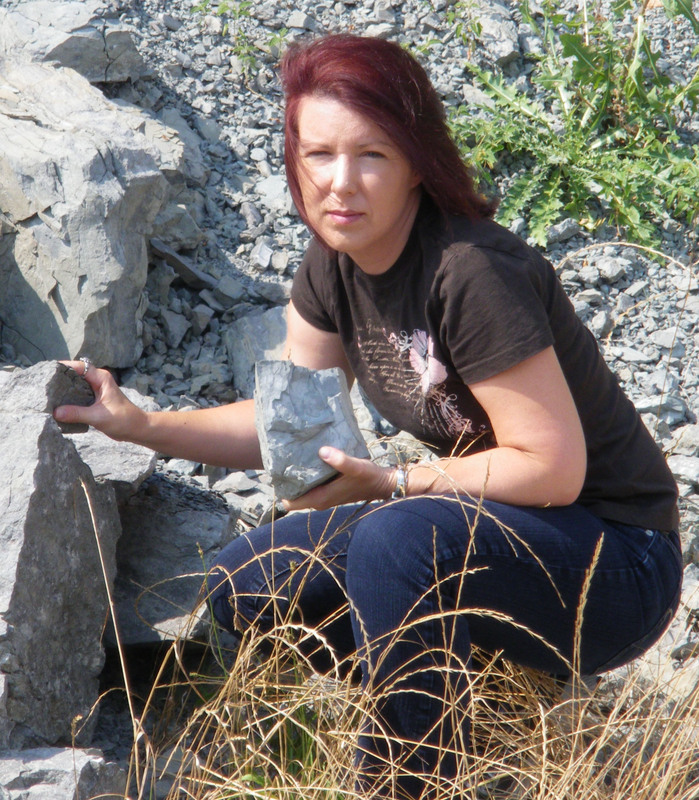 She has been extremely active in the WV Geologic and Economic Survey RockCamp participating in RockCamp I, Carnegie Dinosaur Training, WV Igneous Field Trip, and Field Mapping at Spruce Knob. Her middle school received national attention while participating in a ground penetrating radar and magnetometry study of an extensive native American archeological site (300 burials). She presents regularly at the West Virginia Science Teachers Association meetings and gave a well-received presentation at the recent Eastern Section NAGT meeting in Parkersburg, West Virginia. She has been involved in summer archaeological research in New England for the past few summers. Her nominator writes "Pam is truly excited about what she does. This, coupled with her creativity, creates an environment in her classroom which invigorates her students by engaging them in relevant field experiences and archaeological digs." Mike Steiner graduated from the University of Wisconsin and has been teaching eighth-grade science for five years at Chetek Middle School in Chetek, Wisconsin. Mike emphasizes "learning to understand" and engages students in discussion so that they discover answers for themselves through collective learning. He uses a variety of hands-on classroom techniques as well as authentic field activities at local quarries and outcrops. Mike started a water quality testing program, and, with the help of the social studies teacher, has expanded that effort to involve students in GPS and GIS mapping and landscape analysis. The eighth-grade science curriculum has been modified to emphasize Earth science and align better with high school physical science. Mike's innovative teaching includes night-time activities, both outdoors and indoors, and he has initiated an after-school science program for younger students. Mike is currently involved in developing a charter school based around an understanding of Earth systems and the environment.